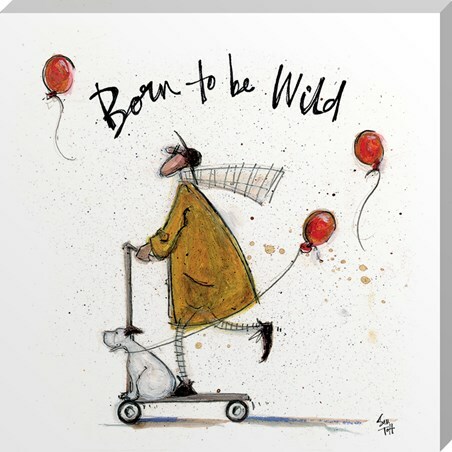 Give your home an extra blast of warmth and come in from the cold with this comforting Sam Toft canvas print. 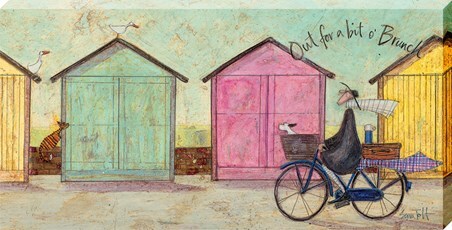 Huddled together under one rainbow coloured umbrella, Mr and Mrs Mustard with their little dog Doris take a stroll along their favourite beach in their home of Brighton and Hove. If you're familiar with this high spirited family then you'll know they never let the dreary whether ruin a day out. 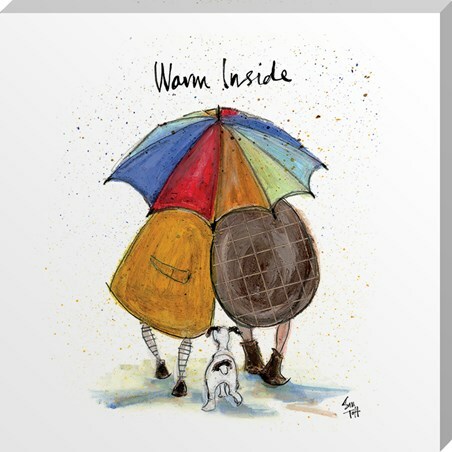 Coats, hats and scarves on, (with Doris using their bodies as shelter) even when it's cold out, the warmth of love will always keep you toasty from the inside out. 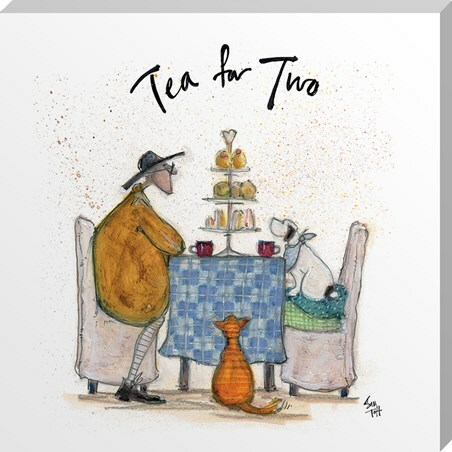 Another marvellous piece from the talented artist with a brilliant and humbling story. 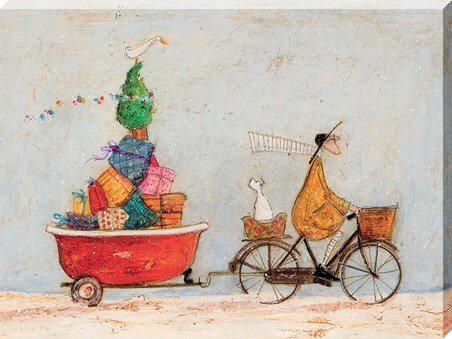 High quality, framed Warm Inside, Sam Toft canvas print with a bespoke frame by our custom framing service.